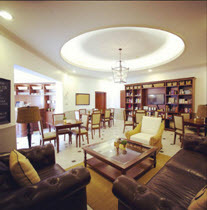 The Royal University for Women (RUW) is the first private, purpose-built, international university in the Kingdom of Bahrain dedicated solely to educating women. RUW provides a comfortable environment in which to create leaders, develop vibrant personalities, dynamic decision makers, independent thinkers and community-conscious individuals. Our main focus is on academic excellence and personal development. RUW's initial degree programmes were designed in collaboration with two reputed universities, McGill University in Canada and Middlesex University in the U.K.
To offer our students a rewarding and challenging multi-cultural learning environment that cultivates strong, well-rounded personalities, encourages leadership, and builds character, social consciousness and community. To realize our commitment to teaching, learning, research and service through the activities of all members of the University community. The Royal University for Women will become the regional leader in academic excellence for women. Programmes and practices that meet international standards will prepare our graduates to become leaders who are engaged members of their society demonstrating initiative and life-long habits of learning and individual development. The RUW graduate will be creative, confident and forward thinking. In keeping with its commitment to provide higher education to women, Royal University for Women offers financial assistance to eligible students. This assistance is available to students for whom access to higher education may be hindered due to financial constraints. Students availing of support through the financial aid programme are required to maintain a cumulative GPA throughout their course of study. Provision of financial aid is regulated through criteria determined by the RUW Board of Trustees. Applicants eligible for RUW financial aid must show evidence of having high academic standing in their high school grade. Only applicants with a high school average of 85% and above will be considered. *High academic grades do not guarantee financial aid. RUW financial aid covers only an approved percentage of tuition fees only. RUW offers financial aid in the form of partial scholarships on tuition fees only depending on the written appeal and evidence provided. The scholarship committee will assess each application on its own merit and make recommendations. Applicants are required to follow the usual admission procedure by submitting all necessary documentation along with a request letter explaining their financial situation. The Office of the Registrar will be responsible to follow up with the applicant and to inform the applicant regarding the final decision. RUW Admissions Policy follows the Bahrain Higher Education guidelines. For each programme offered at RUW, there are specific entry requirements. Admission to a programme of study is based on the academic merit of the applicant’s high school grades. The language of instruction at RUW is English. Show evidence of having successfully completed Secondary Education or its equivalent in the Kingdom of Bahrain or overseas, attested by the Ministry of Education, Kingdom of Bahrain (MoE). Show evidence of a minimum level of English Language Proficiency. Some programmes may also require applicants to take an interview and/or submit additional documentation. All documents included with an application for admission become the property of RUW. It is very important that students obtain a number of attestations on the official documents before or during the process of applying at RUW. Attestations are mandatory as they are required by the Higher Education Council of the Ministry of Education in Bahrain. The Residence is located on the RUW Campus and only available to females. It offers spacious and comfortable single and double units, with great views of the University and the Riffa Valley. There is twenty-four-hour security controlling access to Campus, but students are free to come and go as their timetables permit. The Office of Student Affairs is a home away from home for international students and provides various services. OSA organizes activities for students (field trips) and oversees our outstanding facilities. RUW is committed to the health and safety of students and staff. A full-time nurse manages the well-equipped Campus Clinic, located on the ground floor of the Student Centre. The nurse is also trained to respond to emergencies anywhere on campus. A Social Worker is also available in the campus clinic. The Social Worker is responsible for the emotional well-being of all students. She monitors campus activities and helps students deal with personal and interpersonal issues. 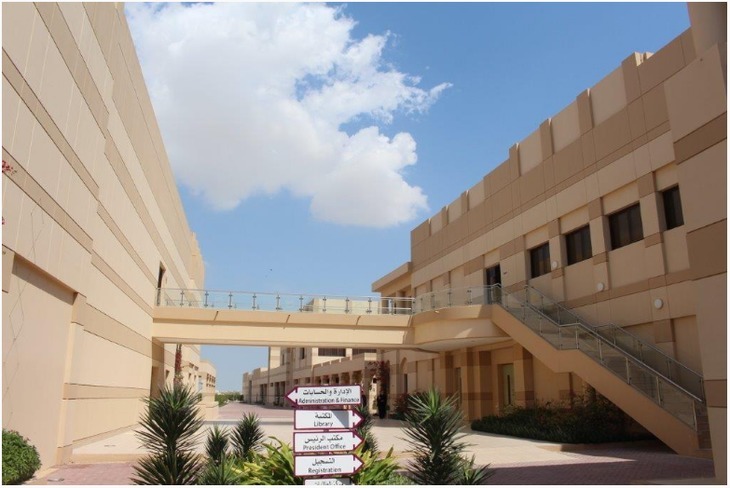 The RUW Student Centre located in the middle of the campus offers several services for students including a student clinic, a women-only prayer room and a majlis only for students. There are several coffee shops and restaurants available on campus. RUW is proud to provide students and visitors with a modern sports and recreation facility. Students can also avail of beautiful, luxurious spa facilities, such as sauna and steam rooms. A 25-meter heated pool accommodates lessons in various swimming styles under the supervision of a qualified instructor. A well-equipped aerobics room offers the latest machines to keep body and mind fit. Students also have access to a dance studio with full-length mirrors, table tennis, billiards or foosball. The student-operated clubs in soccer and basketball get support from a coach.